Mr. John William Rivenbark age 71 of 1834 Powers Road, Wallace died Sunday May 31, 2009 at Pender Memorial Hospital in Burgaw. 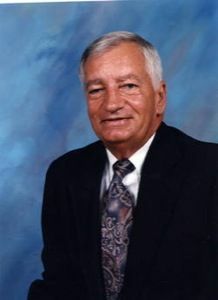 Funeral services will be held at 2:00 pm Wednesday June 3, 2009 at Padgett Funeral Chapel conducted by Rev. Tommy Blanton. Burial will follow in Riverview Memorial Park. He is survived by his wife, Mrs. Patricia Ann Rivenbark, of the home, two daughters, Mrs. Vickie McGee and husband Mike of Castle Hayne and Sonjia Rivenbark of Magnolia, two sons, James Edward \"Eddie\" Rivenbark and wife Ann of Southport and Thomas \"Tommy\" Rivenbark and wife Bev of Wilmington, eleven grandchildren, fifteen great grandchildren and one sister, Mrs. Mildred Matthew of Willard. Born in Pender County, Mr. Rivenbark was the son of the late William Calvin and Daisey Piner Rivenbark and was a member of Antioch Church. He was preceded in death by one brother, one sister and a nephew. Casketbearers will be Josh Rivenbark, John Rivenbark, Durwood Parker, III, Jason Parker, Chuck Burgess and Johnathan Watts. In lieu of flowers, donations may be made to Bank of America, 117 E. Southerland Street, Wallace, N. C. 28466 in memory of John W. Rivenbark. The family will receive at Padgett Funeral Home from 6:00 to 8:00 pm Tuesday and at their residence, 1834 Powers Road, Wallace other times.